If you are on holiday in Aviemore and the Cairngorms in the October holidays and are looking for fun things to do with the kids, then look no further! Rothiemurchus offer a wide range of exciting outdoor activities… Treezone Aerial Adventures, Quad Trekking and Fishing to name a few…. 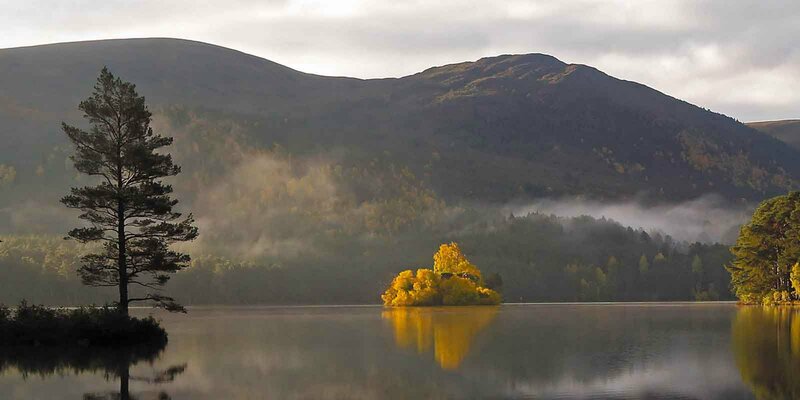 but one activity you shouldn’t miss this Autumn is a visit to Loch an Eilein! Autumn is a particularly beautiful time of year to explore Rothiemurchus and Loch an Eilein is the perfect place to enjoy the changing colours, spend time with family and get away from it all – not only that, the cool, crisp days are just the excuse you need to dig the cosy wooly jumpers out from the bottom of the wardrobe! A walk around the loch is the ideal family activity. We’ve put together a fun ‘nature hunt’ you can print off and take with you – a great way to make the walk a more exciting activity for the kids! Click here to download a printable version of our Loch an Eilein Nature Hunt! Sheltered by ancient pine trees with views of the mountains, the 5km path around the loch is suitable for off-road buggies and takes 1-1.5 hours to complete. The 13th-century island castle in the middle of the loch is always a favourite, perhaps one of the reasons Loch an Eilein was voted the UK’s best picnic spot, don’t forget your camera! Keep your eyes peeled for wildlife too! 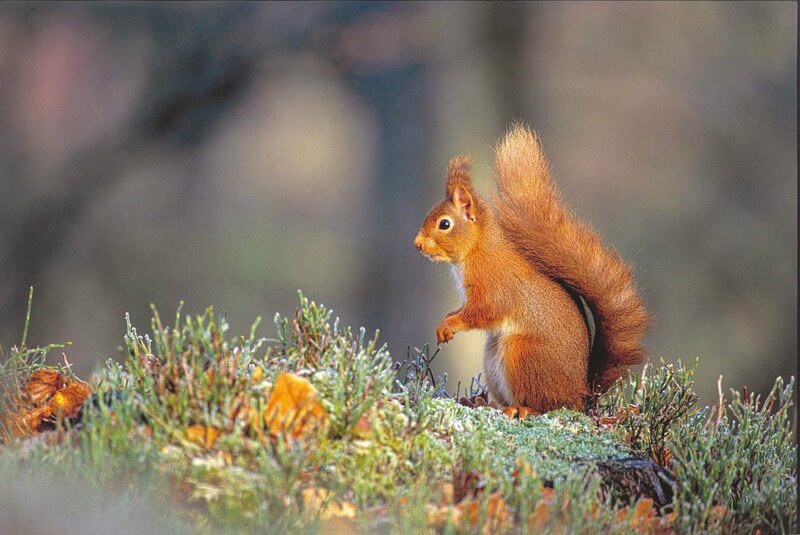 Autumn is the time when red squirrels are busy hiding food in the ground for the winter. One of our favourite red squirrel facts is that they can hide their stash in up to 200 different places…. we often wonder if they can remember where they all are! A great tip for spotting a red squirrel is to stand still and listen for the scratching of the claws on the bark and for pine cone fragments falling from the high tree tops. Now, where did I leave those nuts?! If all that walking and fresh air has left you hungry, why not pop into The Druie Café in Rothiemurchus Centre. Open daily 9.30-5pm for breakfasts, tasty lunches, homemade cakes, locally roasted coffee and our favourite at this time of year – hot chocolate! Wishing you a very happy October break from all at Rothiemurchus. See what other activities we offer for little kids here. We’d love to see snaps from your nature hunt at Loch an Eilein! Share your images with us on Facebook, Instagram or Twitter.